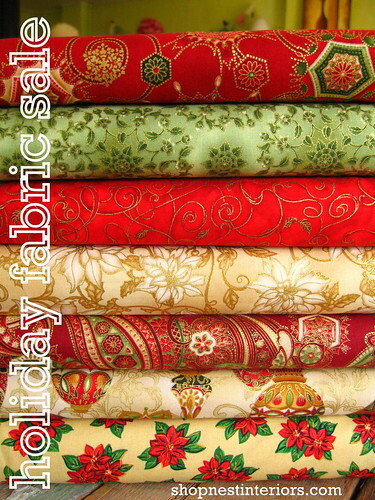 Hard to believe Christmas is just two months away and lucky for you, I've just marked down some totally, knock-down gorgeous holiday fabrics in time to make treasured items for yourself or one of a kind gifts for friends and family. I'm offering up to 40% off on a selection of holiday fabrics - mostly Robert Kaufman Holiday Flourish with a few other dazzlers in the mix. Keep checking my shop back as more offers will be added in the coming weeks!